Congratulations to our Under Sevens Blacks for winning the Billericay Under Sevens tournament! 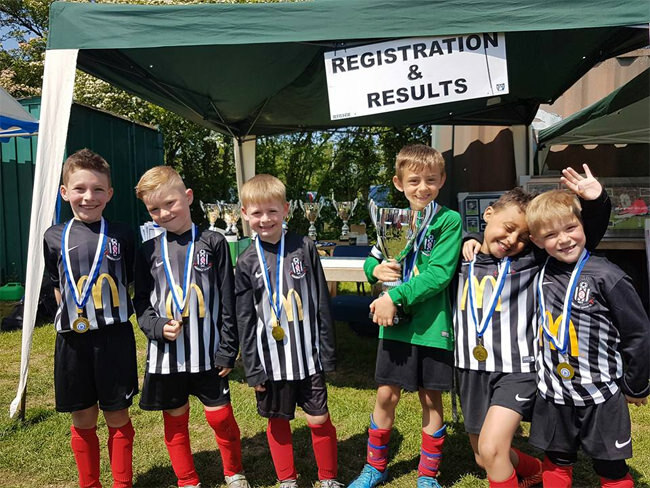 For the second successive tournament Graham Carter's squad emerged as overall winners, following their success at the Wickford Town event a fortnight earlier. And there were smiles all round as the boys won another trophy to add to the cabinet. Well done Graham & boys!